Greetings fellow Speech & Debate coaches & competitors! 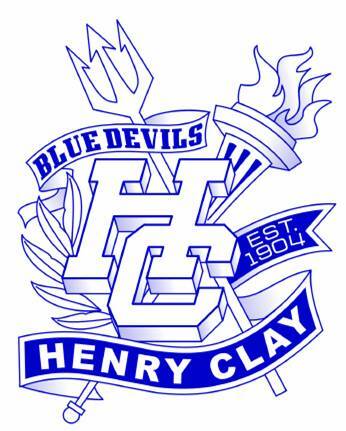 The tournament will be held on Saturday, October 29th, 2016, at Henry Clay High School in Lexington, KY. Registration will begin at 7:00 AM with the first round of competition beginning at 8:30 AM. There will be 2 rounds of IE competition plus finals. Categories: We will be offering all fourteen KHSSL Speech events and all 4 KHSSL Debate events (FOLLOWING KHSSL RULES). Specific events offered are: Broadcasting, Declamation, DI, Duo, Extemporaneous, HI, Impromptu, Improvisational Duo, Informative, Original Oratory, Poetry, POI, Prose, Storytelling, Lincoln-Douglas, Nov LD, Public Forum, Nov PFD, Policy, & Congress. All categories count toward sweepstakes (but only the top three scores in each event). Any category that cannot fulfill a minimum of 6 entries will be dropped from the competition – you will be notified of this change in the event that this occurs to allow you time to relocate your students to another event should you so choose. Entries: We will be offering unlimited entries for each event. Students may Quadruple (Compete in up to 4 IE events) but rounds cannot be held for a late performer. Due to schedule constraints, students entered in Debate cannot participate in IE events. *Note: As Congress, LD, PF, and Policy are not KHSSL prequalifying events, Henry Clay High students will participate in these areas. Cost: Each IE speech entry will be $5, with Duo Interp & Improv Duo charging $10. Congress & Lincoln-Douglas entries will be $12 while Public Forum & Policy Debate entries will be $24 ($12 per debater). Entry registration will be managed through www.tabroom.com. You will need to create a user account at that site if you do not have one in order to register. Deadline for entries is 9:00 PM on Tuesday, October 25th. Judges: You must supply one judge for every six I.E. entries (6 slots = 1 judge; 12 slots = 2 judges; 13 slots = 3 judges; etc.) For debate you must supply one judge for every two debaters (1 slot = 1 judge; 3 slots = 2 judges, etc.) A fee of $40 per missing judge will be assessed. Please make sure that all your judges are familiar with all KHSSL rules in the 2016-2017 KHSSL Handbook so they can properly assess the students. There will be a hospitality room with snacks and refreshments for all judges, coaches, and bus drivers. Awards: Speech Awards will be given to the top 6 performers in each speech event (top 4 single entries/teams in each debate event). Sweepstakes awards will be given to the top 3 schools in Speech & top 3 in Debate. Food: Pizza, snacks, and refreshments will be for sale in the cafeteria. There will be no lunch break due to the tight schedule of the tournament. So eat when you can!!! Thank you! The Blue Devils would be honored to have your presence for our tournament!